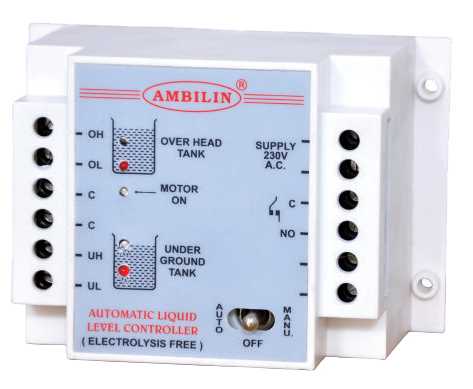 - Under Ground & Over Head Tank Controller. - LED Display indicate the Water Level. - Available with S.S. Sensor. Use with Monoset Pump, Oil Filled Pump for Water Level Controller.